Super clean, light & bright 2 bed/2 bath condo with lovely views overlooking peaceful babbling brook in large courtyard that leads to the lake. 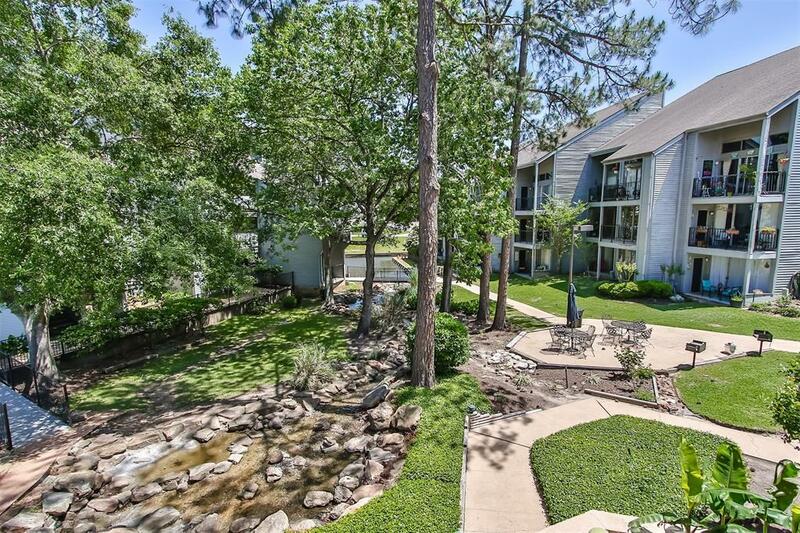 Mature trees line the banks of the waterway, making for great bird watching from the balcony, plus views of pool & lake. 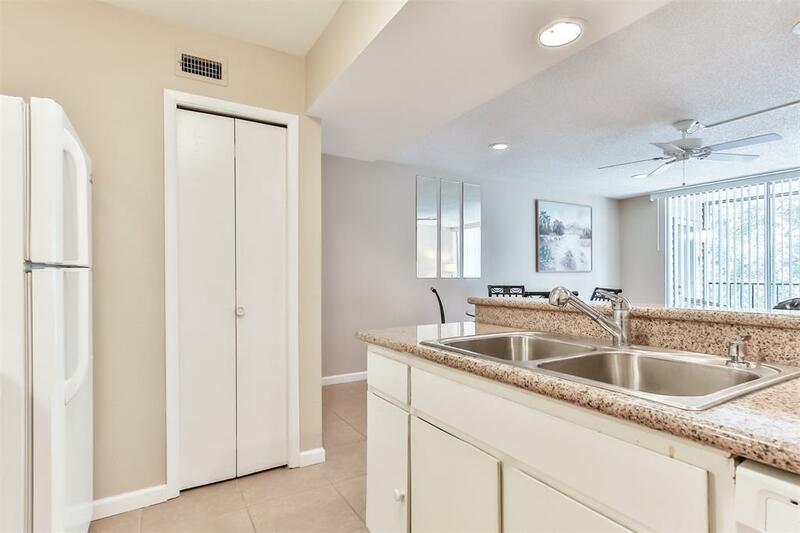 Over 950sf, all updated tile (no carpet),freshly painted & new HVAC in May 2015 (10 yr warranty) - updated w/ granite in the kitchen & has been well maintained. 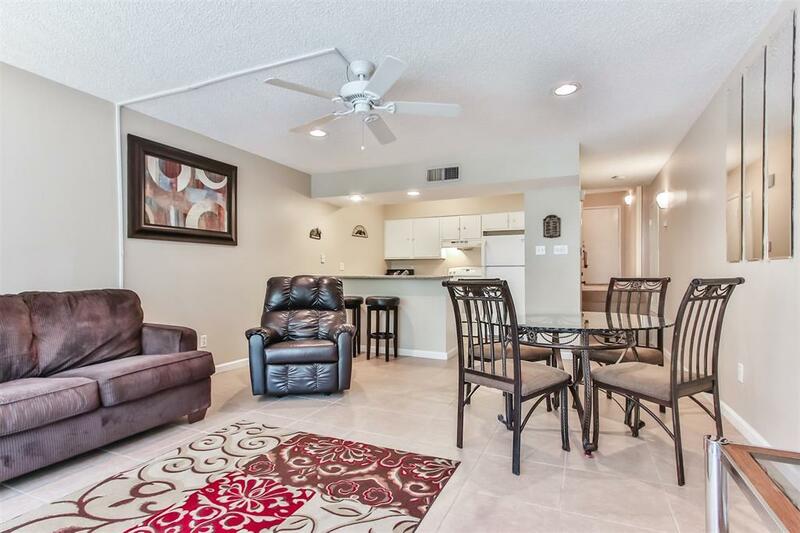 Breakfast bar & dining area adjacent to living room & private patio/balcony has additional storage closet for fishing poles, water toys, container gardening tools, etc. 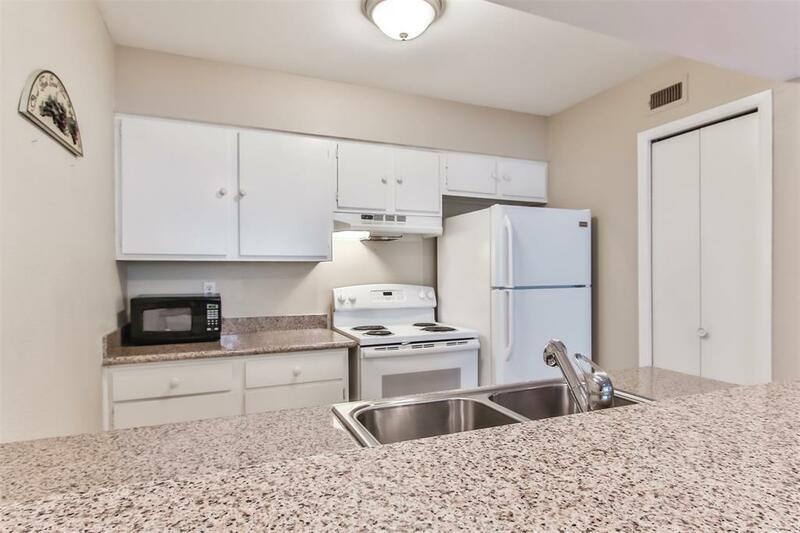 Complex has waterfront pathways, patios & grilling areas, private pool, central laundry (can be added to unit) & condo covers water/trash/sewer. Ownership comes with use of Walden's amenities too; fitness center, tennis/racquet club, hike & bike trails, pools, children's park & soccer fields, dog park, boat launch & fishing piers. Condo assoc in progress of exterior painting/improvements!